As I approach the remaining few months of undergrad and as we're in the midst of the holiday season, it dawned on me that I have so much to be grateful for. With that said, the fire in me also still burns (pun intended). It's truly a balancing act between remaining grateful for all that you have, but also remaining hungry and chasing personal growth at the same time. Supportive parents: Without living rent free, I'd be in a mountain of student loan debt rather than sporting a portfolio worth over $10,000 with no student loan debt. Supportive grandparents: Overall, my grandparents have provided roughly $4,000 in Christmas money, birthday money, and high school graduation money over the span of my life. This was very helpful in completing my first two years of my college journey costing about $12,000 at my local 2 year college. From there, the foundation was set when I landed my first real job in July 2017. Being over halfway through the $27,000 in books and tuition costs to complete the final 2 years of my 4 year degree. Health: This leads me into my next point of remaining fairly healthy during this time. Look, it's quite difficult to be productive and achieve your goals when you aren't feeling well. Need I say more? I am most grateful for my health. This community: Where would I be without this community? I wouldn't be collecting $462 in annual forward dividends, I can tell you that. The support of this great community is one of the primary reasons I began blogging and I'm pleased to say I haven't been disappointed in the slightest with the support from this community. Everyone in this community is so supportive and we all bring out the best in each other as we work toward our goals. Having barely scratched the surface of all that I'm grateful for, I also haven't really discussed what I'm still striving for (although the first point should be rather obvious). Financial freedom: Ah, the primary driver of the content on this site. I've already covered what motivates my inner drive towards FIRE in this article, so I won't delve too deep into it. Fulfillment of human potential: Everyone's reasons are a bit unique for FIRE, but the autonomy of FIRE to strive toward your full potential as a human is certainly the primary motivator for me. It's considerably more difficult to do that when you're in the usual Monday-Friday work routine, so FIRE grants one the time to focus on what's important to them. It can be difficult to keep your perspective and quite easy to take your blessings for granted. With that said, you may be wondering why I'm seemingly just being philosophical in this post. 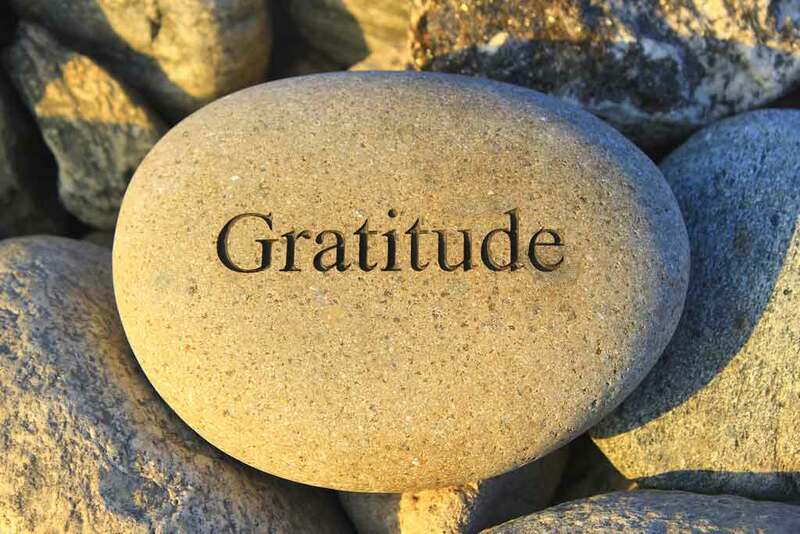 I'll cut straight to the point, which is that the purpose of remembering what we have to be grateful for is to guide us through those difficult and trying times. Because believe me, there will be trials and tribulations in life. We've all faced them, but it's keeping that grateful perspective (there is always something to be grateful for) that can allow us to push through tough times and to crush our personal goals. In crushing those personal goals and seeking the path of personal development, we can capture the essence of what it truly means to be human - we can fulfill our true potential. What are you grateful for? What are you still pursuing? Have you found that the practice of gratitude guides you through your challenges and motivates you even more to reach your goals? As always, thanks for reading and I appreciate this community's insights.